1) An iPod can not take requests for songs, but a live DJ can. 2) Your event will need an MC to make announcements, and to keep the event running smoothly. Unless you already have one, the DJ will act as your Master of Ceremonies. Your event needs an experienced MC. 3) An experienced DJ consults with you to determine what the best music would be to entertain your guests. Someone running an iPod does not have the experience that a professional DJ has. 4) A DJ has the proper equipment, along with backups should something go wrong. Equipment that is necessary for a large event includes lighting, an amplifier, a mixer, and professional microphones. While a home stereo system is great for home use, it is not designed to be able to fill a large space. Sound coming from professional equipment will be able to fill a large space, and will hold up to a lot of use. 5) An experienced DJ boasts a large music collection. 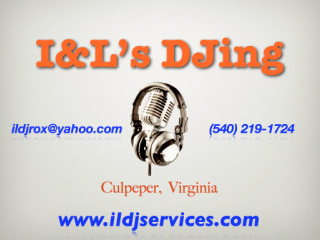 They have a collection of different genres of music, and will have the perfect music for your occasion. The iPod might have your favorite tunes, but your favorite songs might not be the best songs for the occasion. 6) An experienced DJ knows how to read a crowd, which is a great skill that an iPod does not have. Groups of people give of signs and cues that a DJ can pick up on, and then adjust the music selection accordingly. Their skills in picking music and knowing when to play it can make a huge difference in your event, all of which a friend running an iPod will be lacking in.